I want to help my family eat better, but it seems like whenever I try to buy healthy foods, it costs a lot more. How can we eat better without totally breaking our food budget? 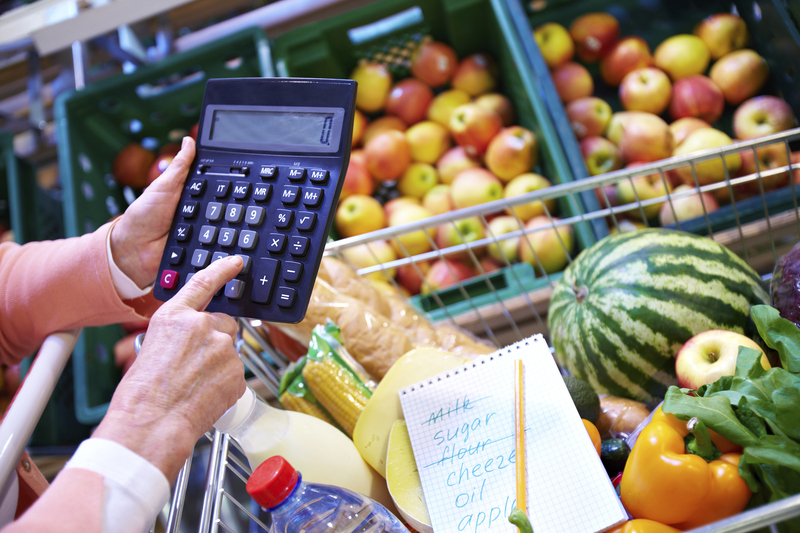 It might seem like eating healthfully could mean a higher grocery store bill. But it doesn’t have to. Several recent studies by the U.S. Department of Agriculture’s Economic Research Service examined this question and were highlighted in a feature article in the September 2015 issue of the service’s online magazine, Amber Waves. The article’s title, “Following Dietary Guidance Need Not Cost More—But Many Americans Would Need to Re-Allocate Their Food Budgets” pretty much sums up the findings. Researchers used the Dietary Guidelines for Americans as a baseline for what a healthy diet should look like. In part, that means, for example, anyone consuming a 2,000-calorie-a-day diet — the estimated number of calories needed for moderately active women between 26 and 50 and sedentary men over age 60 — should be eating 2 cups of fruit, 2.5 cups of vegetables and at least 3 ounces of whole grains a day. Unfortunately, most of us don’t meet those standards. On an average day, American adults tend to eat about 1 cup of fruit, 1.5 cups of vegetables, and less than 1 ounce of whole grains. If cost was the major barrier to eating better, you’d think that families with higher incomes would have more nutritious diets. However, researchers found that households below 130 percent of the poverty line scored 48 percent on a Healthy Eating Index, a measure of how well a diet matches up with the Dietary Guidelines. Households with incomes of five times the poverty level scored only slightly higher, 54.5 percent. Studies found that all households, no matter the income level, tend to spend food dollars similarly, allocating 17-19 percent on fruits and vegetables, for example, and 21-28 percent on meat, poultry, seafood and eggs. The largest category, “miscellaneous foods,” accounts for about 35 percent of the budget, and includes soft drinks, frozen meals, snacks, soups, salad dressings, candy, condiments, gourmet and specialty items, baby food, and seasonings. And all this doesn’t even count the often-significant amount of money spent on eating out. Choose medium- to low-cost fruits and vegetables, and buy more of them. At the same time, reduce spending on miscellaneous food items, especially those higher in calories, added sugar and fat. Reduce spending on protein foods. You can do this in part by choosing more plant-based proteins, which are generally less expensive. Reduce how often you go out to a restaurant (fast food or sit-down), or order pizza or other food in. Researchers said substituting these meals with food prepared at home resulted in the greatest cost savings as well as the biggest boost in dietary quality. Editor: This column was reviewed by Irene Hatsu, Ohio State University Extension specialist in Food Security. For a PDF file of this column, please click here. I noticed that a friend of mine has a thermometer in her refrigerator. She says she uses it to make sure the refrigerator is cold enough. Why would this be necessary? Aren’t refrigerators built to keep food cold enough? Well, yes, the whole idea of refrigerators is to keep food cold. But your refrigerator might not be cold enough. It could be due to something as simple as opening the door more often than usual. Or it’s possible that the fridge is packed too tightly, not allowing cold air to circulate around the food properly. Your friend is on top of things by keeping a refrigerator thermometer and checking it regularly to make sure her food is being stored safely. Refrigerators should be kept at a temperature above freezing (obviously) but below 40 degrees F. Above this temperature, some types of bacteria start to multiply rapidly, and they’re more likely to reach numbers that can cause foodborne illness. Surprisingly, as many as 43 percent of home refrigerators have been found to be above 40 degrees, according to the Food and Drug Administration’s Center for Food Safety and Applied Nutrition. The only way to really know your fridge’s temperature is to use a thermometer. It’s important to check the temperature regularly and make adjustments to the refrigerator’s settings to keep foods at 40 degrees or below. Some refrigerators have a built-in thermometer, but just in case it goes out of whack without you realizing it, it’s a good idea to have a good old-fashioned appliance thermometer so you can double-check occasionally. For most of us, our refrigerator isn’t pristine. In fact, according to a 2013 study by NSF International, an independent public health auditing and certification organization, the refrigerator’s vegetable and meat compartments are the two germiest places in the home kitchen. The study found Salmonella, Listeria, yeast and mold in vegetable compartments, and yeast, mold, Salmonella and E. coli bacteria in meat compartments. It’s important to know that you should separate raw meat, poultry, seafood and eggs from other foods in your refrigerator. Use a bin to store raw meats. Authorities differ on how often to clean refrigerator bins. Some say every month. Others say every four months. Think of it as a good spring cleaning followed by summer, fall and winter cleanings. Doing so isn’t difficult. Just empty and remove the bins from the refrigerator. Wash them with hot soapy water. Rinse out the bins thoroughly and dry with a clean towel or fresh paper towels. Wipe down refrigerator shelves. Wipe off jars and containers as you return them to the shelves. And don’t miss the bottom of the refrigerator, underneath the produce bins. For detailed guidance about keeping foodborne illness at bay by keeping your refrigerator and the rest of your kitchen clean, see “A Clean Kitchen Required for Food Safety” by University of Minnesota Extension, online at www.extension.umn.edu/food/food-safety/sanitation. Editor: This column was reviewed by Sanja Ilic, Ohio State University Extension specialist in Food Safety. Our 11-year-old son was diagnosed with type 1 diabetes. We’re learning a lot very quickly. What do we need to be aware of as we settle in to living with diabetes? The diagnosis of diabetes is always difficult, especially when it’s type 1. With type 2 diabetes, in which the pancreas still produces insulin, there’s a chance that diet, exercise and oral medications can help the body use the insulin it makes to control the amount of glucose in the bloodstream, allowing it to be used for energy. With type 1 diabetes, which accounts for 5 to 10 percent of diabetes cases, the pancreas produces little to no insulin, causing blood glucose to reach dangerously high levels. In addition to taking a prescribed amount of “basal” or long-acting insulin every day, you have to also take additional insulin whenever you eat to prevent blood glucose from staying in the bloodstream for too long. It’s like being forced to learn to drive a car with a manual transmission overnight when all you’ve ever known is an automatic, with serious physical consequences if you don’t get it right. That’s a lot to put on a kid. Or a parent. While complications of diabetes can be serious, including blindness, kidney or nerve damage, and heart and blood vessel disease, the risks significantly drop with good blood sugar control. Years ago, children with diabetes were told they needed to eliminate sugar from their diet. Today, the medical community realizes that all sugars and starches affect blood sugar and can be part of a diet well-balanced with proteins and fats. To stay on track, your son needs to frequently monitor his blood sugar and take insulin. 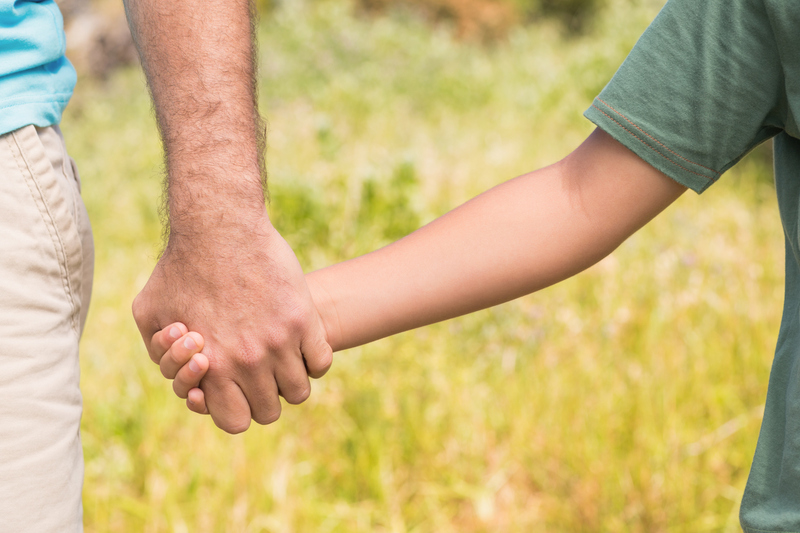 Work closely with your son’s healthcare providers. Don’t be afraid to ask questions. Be honest with your health care team especially regarding how the diabetes is impacting your finances, your relationships, or other areas. Find books, support groups, websites and other resources on type 1 diabetes. For example, the ADA offers diabetes camps that many kids find rewarding. It helps to learn from others’ experiences, but remember, your medical team is the first authority for your son’s care. Talk about the diagnosis with your son’s teachers and other adults in his life. Don’t assume they know much about diabetes or the difference between type 1 and type 2 diabetes. Emphasize how important it is for him to monitor his blood glucose and give himself insulin, and make sure he has the time and privacy to do so. Understand that if you’re like most people, this diagnosis can seem overwhelming. Have patience and know you’ll always keep learning and finding new ways to help your son live with diabetes. Additional helpful information is available at diabetes.org and childrenwithdiabetes.org. Editor: This column was reviewed by Dan Remley, Ohio State University Extension field specialist in Food, Nutrition and Wellness. It’s always a struggle to get my children to eat a good breakfast before school. How can I make them get up early enough to be sure they start the day right? Breakfast is important for kids heading to the classroom: The Academy of Nutrition and Dietetics advises that regularly eating a nutrient-rich breakfast helps children in several ways, including improving school performance and helping with maintaining a healthy weight. A good breakfast — something that provides a variety of nutrient-rich foods — provides nourishment for both muscle power and brain power. Prepare the night before. Put breakfast cereal and bowls on the table or peanut butter and whole-grain bread on the counter to make breakfast easy to prepare. Have easy-to-handle fruit available on the counter or in the refrigerator to eat on the way out the door. Bananas, apples, peaches, pears and plums are all easy to grab and go. Younger kids are even more likely to eat bite-size pieces of fruit. Try putting some slices of fruit in a small plastic bag to go. Be sure to have plenty of healthful options on hand. Buy breakfast cereals or cereal bars made with whole grains and with 8 grams or less of sugar per serving. Choose nonfat or low-fat milk, yogurt and cheese, and whole-grain bread, English muffins and tortillas. Leave your blender on the counter to make easy breakfast shakes. Combine frozen berries, milk or yogurt, and even some protein powder — or come up with your own recipe — and blend them together for a quick and filling morning treat. Make breakfast wraps using whole-wheat tortillas filled with low-fat cheese and apple slices or peanut butter and banana slices. Think outside the breakfast box. Nontraditional foods work just as well as scrambled eggs to fuel the body. Offer your kids string cheese, a handful of nuts or trail mix, tuna salad, leftover chicken breast, a peanut butter sandwich, or whole-wheat crackers with low-fat cheese. Be a role model. 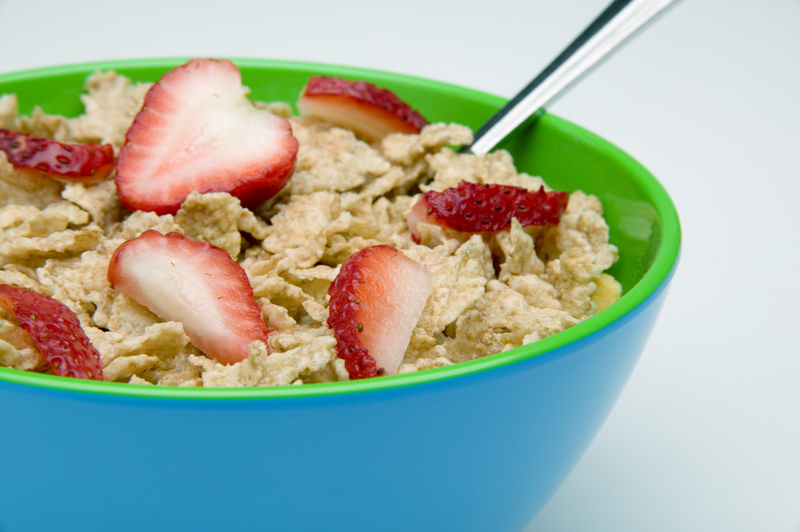 If your kids see that you’re in too much of a rush and skip breakfast more often than not, then they will, too. If you haven’t already, you should also check out your children’s school’s breakfast program. These days, more than 90 percent of schools that participate in the National School Lunch Program also offer breakfast, and in the last few years, new breakfast standards regarding whole grain-rich foods, calories, trans fats, sodium and other dietary considerations have gone into effect. If an at-home breakfast truly isn’t in the cards at your house, it’s likely a healthy breakfast at school is an option. Editor: This column was reviewed by Carol Smathers, Ohio State University Extension specialist in Youth Nutrition and Wellness.